Over 13 million leaked documents have laid bare the tax practices of the super rich. A HUGE LEAK of about 13.4 million secret documents has shed more light on how some of the world’s rich and famous avoid tax, Britain’s Queen Elizabeth and Bono among them. The Guardian reports that they show how Bono used a company based in Malta to pay for a share in a shopping centre in a small town in Lithuania. Queen Elizabeth’s connections to offshore investments have also been revealed by the Paradise Papers. According to the documents, the queen’s investment managers placed roughly 10 million pounds (€11.2 million) in offshore portfolios in the Cayman Islands and Bermuda. The investments were made in 2004 and 2005 by the Duchy of Lancaster, the queen’s private financial manager. The Duchy of Lancaster, which holds assets for the British monarch to generate income for her, confirmed in a statement that some of its investments are in overseas accounts. It said that all its investments were legitimate. “We operate a number of investments and a few of these are with overseas funds. All of our investments are fully audited and legitimate,” it said. The documents showed that the queen invested in BrightHouse, a household goods and electronics retailer that has been accused of exploiting customers by charging high interest rates. She has vast financial assets, including luxury real estate, valuable artwork and jewellery. The documents about Elizabeth’s financial holdings are part of a tranche of some 13.4 million records of offshore accounts leaked to German newspaper Süddeutsche Zeitung and shared with the International Consortium of Journalists and a network of more than 380 journalists in 67 countries. British Labour leader Jeremy Corbyn said the widespread use of offshore havens by wealthy individuals in dozens of countries proves “there’s one rule for the super-rich and another for the rest when it comes to paying tax”. 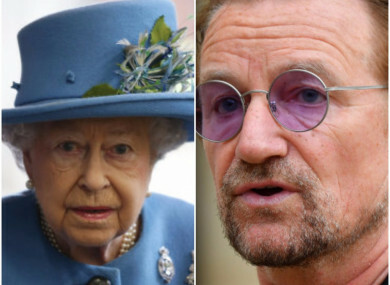 Email “Bono and Queen Elizabeth are among the world's super rich exposed in the Paradise Papers”. Feedback on “Bono and Queen Elizabeth are among the world's super rich exposed in the Paradise Papers”.